Anyone who has worked with smart card and Windows clients have probably seen that on rare occasions users can pull their smart card from the smart card reader and the machine will not be locked although it should be locked instantly. As this typically only occur very rarely it is extremely hard to troubleshoot. However, things are coming together with a cause that makes sense and also shed some light on this elusive problem. A smart card is enforced to be used to login to machines in Windows 7 or Windows 10. GPO settings declare that when the smart card is removed from the smart card reader, the machine will be locked. When the user removes the smart card from the smart card reader, the machine is not locked (rarely). Most of the times the machine is locked but occasionally the machine is not locked and the user can continue to work inside Windows with the card in their hands. The Smart Card Removal Policy service has been restarted and when it restarts, the session to keep control over when the smart card is pulled from the card reader is lost and therefore the machine is not locked. The cause of Smart Card Removal Policy service being restarted is when new Windows patches are released and installed on the machines, specifically many of the latest Cumulative Updates for Windows 10 causes the problem. The issue is more rarely seen in Windows 7, likely due to the changes in updating/patching strategy in Windows 7 vs Windows 10 which differs quite a lot. None by Microsoft as this is by design (bad design I might add). A solution is to use a third party smart card tool that provides its own service to lock the machines. Do you think moving to IE11 makes you well prepared for Windows 10? You better think again! One of the things you can and should do before moving to Windows 10 is to deploy Internet Explorer 11 on your existing machines. But if you think that means you are safe in terms of then moving to Microsoft Edge and be running with all the latest and greatest of web standard, you’d better think again. Why? Well ever since Internet Explorer 8 the setting “Display intranet sites in Compatibility View” has been enabled. Really what that means is that although you have moved to IE11 the chances are very likely that all your LOB web apps and all intranet based sites have been running in IE7 mode the last 10 years or so, at least after moving to IE8. That’s not very good to be honest. The solution to really be future-safe is to make sure to unset that setting to actually run all your sites in IE11 mode. This can of course be done using Group Policies by setting the policy “Turn on the Internet Explorer 7 Standard Mode” policy. However when doing that expect things to break so I strongly advise you do some thorough testing Before deploying that setting to your entire organization. Consider the following scenario: A user has a Windows client running UE-V (User Experience Virtualization) and IE 11 and everything in regards​ to Enterprise Mode in Internet Explorer 11 is working fine. The user then gets a new machine or logs into another machine let it be a client or for instance Remote Desktop session and then Enterprise Mode in IE11 does not work at all. 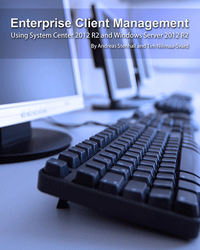 The URL:s defined in the Enterprise Mode XML ruleset file are not applied when the user browse a web application defined for Enterprise Mode. The problem is a consequence of UE-V roaming the Enterprise Mode registry key HKEY_CURRENT_USER\Software\Microsoft\Internet Explorer\Main\Enterprise Mode where it lists CurrentVersion with the current version of the XML file that is being used. So basically that means that Enterprise Mode think it has already applied the current ruleset although it has not. For users that are already affected by the problem one must delete the registry key mentioned above and make sure that it is not synced back from the IE package in the SettingsPackages location (MicrosoftInternetExplorer.Version11 package). 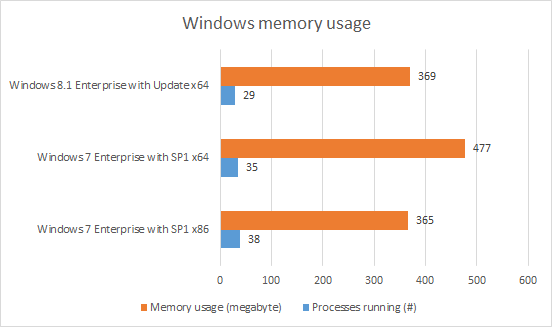 The conclusion is that Windows 8.1 in its x64 edition is basically consuming as much memory as the 32-bit version of Windows 7 and running smoother with fewer processes running. Windows 7 64-bit is consuming some 100 megabytes+ compared to Windows 7 32-bit. Many thanks to all of you who attended my session yesterday. So here is a summary of the key takeaways from my session “Preparing for Windows 10” at TechDays Sweden 2014 November 19th. Consider this an action list in what you can do today to prepare yourself form Windows 10. Yeah, it is so boooooring, but still a golden opportunity to make your client environment more standardized and less complex. Make sure to remove GPOs and GPO settings that are not necessary, remove or replace scripts, applications or components that are not needed. Also, if you have a Premier support agreement with Microsoft, do use the RAP as a Service for Windows Desktop to let Microsoft do an analysis of your environment and suggesting remediation. App compat when moving from Windows 7 to Windows 8.1 or 10 is practically 99%+ success in terms of regular Win32 based applications. Still actual testing of applications needs to be done for business critical applications. There are new WMI classes in Windows 10 that can be used to collect software inventory. The information can be displayed using PowerShell. Also, there is a feature that inventories what framework or runtime an application is dependent on, for instance which version of .NET Framework or Visual C++ Runtime and it can even see if there are dependencies for OpenSSL. Imagine having these feature in place when the HeartBleed bug appeared earlier this year. What I forgot to mention in yesterday’s session was that these feature are being back ported to previous Windows versions, as that is where you’d typically want to run the inventory, but much of the feature regarding this new way of doing inventory is still work in progress. With Windows 8.1 and Windows 10 and the new types of devices that make users more mobile gives other challenges. It is one thing that the OS and devices are great at supporting a mobile work scenario, but without apps that also adhere to this environment you will have challenges. Make sure that the technology to deliver the user experience is evaluated, upgrade the user interfaces where necessary or port them (or parts of them) to modern apps. In terms of moving to Windows 8.1 or Windows 10 you will face the most application compatibility challenges with IE11 and web apps. After the summer Microsoft announced that from January 2016 only the latest version of IE will be supported on the currently supported OS’s. Are you running your intranet sites in IE7 mode? Regardless if you run IE8, IE9, IE10 or IE11 you are very likely to (without knowing it) running all or many your internal web apps in IE7 mode, due to this nasty little settings still being default in Windows 10 and IE in Windows 10. That is the setting that you will find by going go Tools menu and then Compatibility View settings. The setting which I strongly recommend to uncheck (set it via Group Policies) is called “Display intranet sites in Compatibility View”. I have seen this setting causing problems with web apps because modern web apps and systems stop supporting IE7 and thereby not working in IE11. 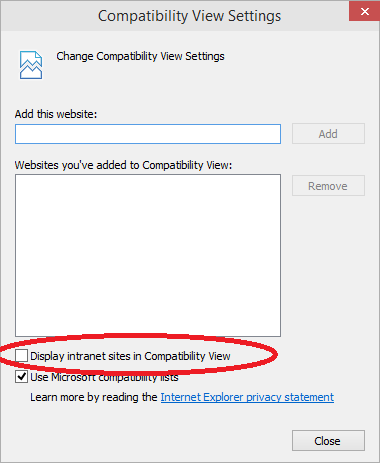 The Display intranet sites in Compatibility View should be turned off / unchecked! Deploy Internet Explorer 11 today! Well, deploy IE11 today and start working with compatibility testing your web apps! Enterprise Mode in IE11 is a compatibility mode that runs web apps in IE8 mode to make them work on IE11. With the November 2014 CU update for IE11 you will be able to not only set web apps to run in IE8 mode but also any document mode such as IE10, IE9, IE7 or even IE5. 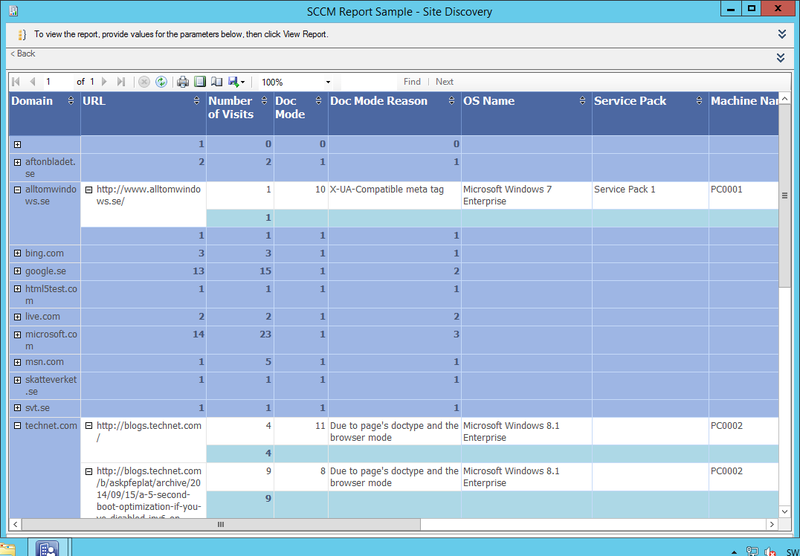 For those of you already running IE11 – inventory tool! Not long ago Microsoft released a little tool that will inventory all the web sites a user visits to provide means to get a grip on web app compatibility. The inventory is activated on specific clients (or all if that is OK in terms of integrity etc) and is collected via WMI to for instance System Center Configuration Manager. There are pre-made reports that can be used. 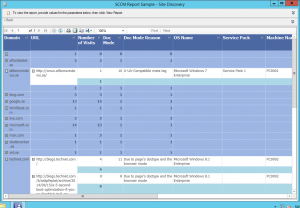 More on Enterprise Site Discovery Toolkit for Internet Explorer 11. You get detailed information on which IE document mode or compatibility mode is used on sites and specific pages. You will also see which pages are causing IE11 to hang or crash! A good thing to prepare for Windows 10 is to deploy Windows 8.1. Some time ago I wrote a blog post on how to customize the user interface in Windows 8.1 to make it work as expected and make it easier for the end users. Read the blog post Taming the user interface for Windows 8.1 enterprise users. Of course you can and should install Windows 10 Technical Preview for a number of reasons. Test applications, test in-place upgrade and last but not least, provide Microsoft with feedback either using the built in Windows Feedback app or via UserVoice. This is a unique opportunity to still influence how and what Windows 10 will be! Windows 8.1 and Windows 10 have a security feature that is dependent on that a machine is installed in UEFI mode, that is Secure Boot. UEFI replaces the 30 year old BIOS that has “always” been around. Note that Microsoft talks very much about in-place-upgrades from previous versions to Windows 10. However, as switching to UEFI demands that you reinstall your OS you will not be able to get the full benefit of Windows 8.1 or Windows 10 if you are running your machines in legacy boot mode. Figure out if your machines are running in UEFI and if not, make sure that you have an infrastructure that supports it and that you switch to UEFI mode in your client machines BIOSs’. The easiest way to determine if you are running in UEFI mode is to run msinfo32.exe (only in Windows 8/8.1 and Windows 10). There is a new line that clearly displays that. 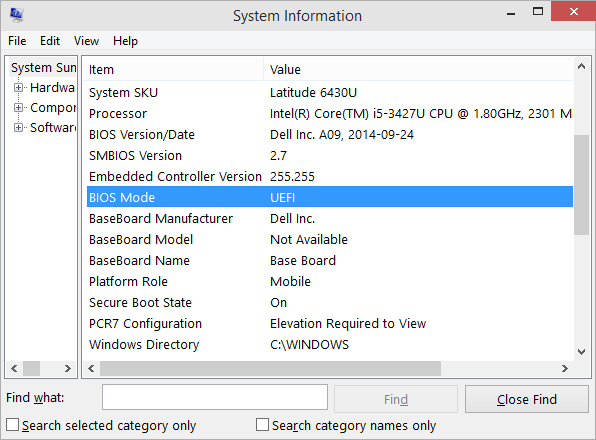 Using msinfo32 in Windows 8, 8.1 or 10 will give you straight info on if you are running in UEFI or Legacy (BIOS) mode. 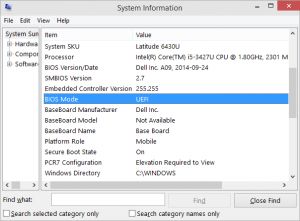 If running Windows 7 (or later) you can determine if running in UEFI mode by starting diskmgmt.msc and note if you have an EFI system partition. If you do, you are running in UEFI mode. 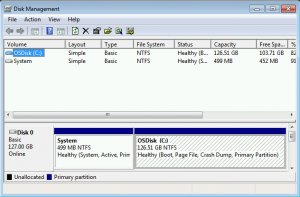 In Disk Management you can determine if running in UEFI mode or Legacy (BIOS) mode. 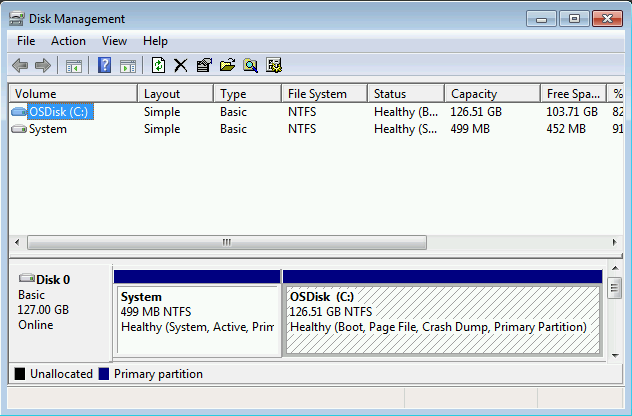 If you do NOT have an EFI System partition you are running in Legacy/BIOS mode. 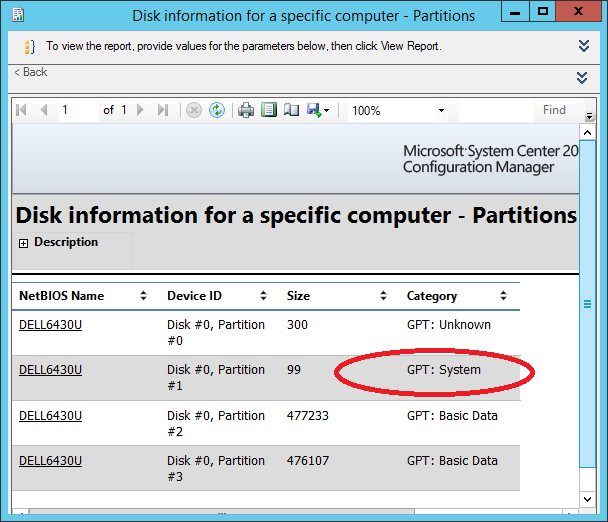 If you have Configuration Manager you can look at the pre-made report Hardware – Disk > Disk information for a specific computer – Partitions to see if you have machines that either are running in Legacy/BIOS mode which will have partitions named “Installable File System” or UEFI machines that will have GPT partitions and in particular a GPT System partition. 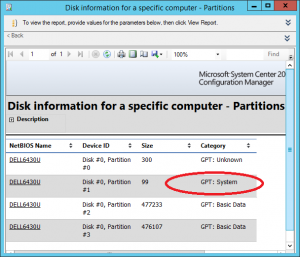 In Configuration Manager reports you can determine if running UEFI machines by looking at the inventory of partitions. GPT System disk means that the machine is a UEFI machine. If you haven’t already done so look into Azure AD and what is has to offer. The cloud connections in Windows 10 will be significant! There are quite a few things you can do to prepare yourself for Windows 10 so that you are ready when Windows 10 is released sometime next year. Happy Windows 10’ing! I’ve encountered quite an interesting issue when deploying a custom iOS (IPA) app using System Center Configuration Manager and Intune. The problem is that the deployment status for the app never reports as “Success” and is hung at “In progress”. As it turns out there is a mismatch in the version info that exist within the IPA file and the plist file that is included when deploying the IPA. must match the bundle-version found in the plist file that is used when creating the app deployment in Configuration Manager. If these values do not match the status will never be reported as successful in the ConfigMgr console. After the September 2014 maintenance window for Intune I also suspect that this version mismatch is causing the app to be re-deployed over and over again, however this has yet to be confirmed. Note: You can easily check the content of info.plist within the IPA by renaming the IPA to ZIP and extract its contents. Use a plist viewer of your choice (there are several free for trial) to check the CFBundleVersion.